Creeping or Prostate Rosemary. 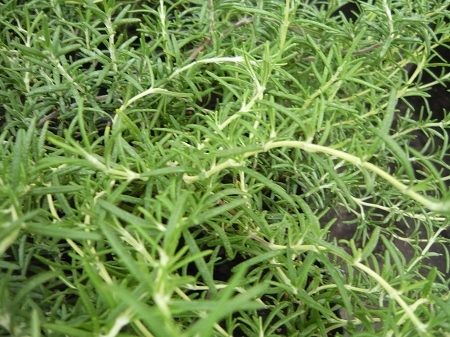 - Low growing creeping variety of Rosemary. Excellent in containers, rock gardens, window boxes,etc. Pretty blue flowers when in bloom. Can be used for culinary purposes. Like all rosemary, requires sun and a well drained soil. Perennial zones 8-10. Live starter plant in 3 inch container.